Atomic Power Review is proud to host the 128th edition of the Carnival of Nuclear Bloggers - that weekly event which focuses attention on the most important blog posts from the English-language nuclear blogosphere. I think everyone knows by now that there's an entry fee of sorts -- and here it is! What is this? Click the photo to enlarge it. The answer will be provided after the Carnival entries -- so here we go! The majority of the currently-idled Japanese nukes are ready to produce the electricity which would alleviate the nation's current electrical shortage. The energy supply situation in Japan is critical, but it seems the majority of the country’s news outlets and politicians don’t really care. They would rather dwell on fear concerning exaggerated assumptions of earthquake impacts on operating nukes. Will the Japanese people ever be made aware of what’s really the case? And, if they are made aware, when will they say “Enough! !” and demand rational recovery from the very real tsunami-spawned, politically-exacerbated economic disaster ravaging Japan? Meredith Angwin submits two posts this week; one at her own Yes Vermont Yankee site, and one at the ANS Nuclear Cafe. There's a 30% gap in Vermont's "committed resources" for electricity because Vermont utilities no longer have contracts with Vermont Yankee. Angwin looks at the probable future price of gas and electricity. She concludes that it would be better for the ratepayers if that gap were still filled by Vermont Yankee. At Yes Vermont Yankee, Meredith Angwin notes that a federal judge dismissed Vermont Yankee's lawsuit which objected to a sudden change in their generation tax, moving the tax from five million to thirteen million over the course of one year. Angwin includes quotes from a key legislator, who says that the legislature wants to shut down Vermont Yankee, but the tax rise is not intended to inhibit Vermont Yankee operations. All 20 Canadian nuclear reactors are in operation. The US Nuclear Regulatory Commission will not issue new nuclear plant licenses or life extensions until it addresses issues raised by a federal appeals court concerning long-term spent nuclear fuel storage. Jim Hopf at the ANS Nuclear Cafe brings an update and perspective on the impact of the NRC licensing suspension. Will Davis viewed an INL video this week that raised his attention part way through; the decommissioning of the MTR was the subject of that short clip. At ANS Nuclear Cafe, he presents much more video of the decom process as well as historic illustrations and details. Why do nuclear energy developers ask for predictable market prices? The competitive problem is that “the market” generally favors sprinters when the real economy would do better if the energy market was set up to favor ultra marathoners who could keep steadily moving forward long after the sprinters have given up and faded out of the race. Because of the focus on short term profits and daily market swings, investors often make decisions based on rapid capital movements. In the energy business, a short-term market construct favors fuels like natural gas that can be used in cheap machines, especially when the fuels are sold by very large entities with at least one related and highly profitable product, like crude oil. Those entities can afford to establish low market prices that last just long enough to drive out the competition. Price wars have served the petroleum industry well for more than a century; they remain an effective tool for the dominant market players. recently, both in the US and around the world. That's it for this week's Carnival submissions. And now - what was that we saw above? The illustration at the head of this edition of the Carnival is taken from a small PR folder from GE titled "The Seawolf Story." On that folder's title page: "This brochure commemorates the significant achievement of the personnel of the Knolls Atomic Power Laboratory in bringing to a successful conclusion the production of a nuclear power plant for the submarine Seawolf." On the fifth page of the brochure we find the "What is this?" illustration, with the following information: "HULL SKIDDING. In the early morning of March 20, 1954, the prototype power plant of the Seawolf was "launched" into its location at the 225 ft. steel sphere located at the West Milton site of the Knolls Atomic Power Laboratory. Here tests were made to further determine the feasibility of using liquid metal as the reactor coolant for shipboard use, and to provide technical and operating information, later to be used in the design, fabrication and operation of the Seawolf's reactor and power plant." The power plant was constructed inside of the simulated submarine pressure hull, which itself was then moved into the spherical containment. The color illustration shown earlier is from a Bechtel Corporation ad that shows the full exterior of the 225 foot diameter steel vapor containment build to house the Seawolf prototype then known as the SIR or Submarine Intermediate Reactor, later known as the S1G prototype. On July 18, 1955, a ceremony was held at the SIR plant to celebrate the first sale of electricity commercially from this plant to the local grid. According to a speech given by AEC Chariman Lewis L. Strauss and which is reproduced in the Atoms for Peace Handbook, the plant could deliver up to 10 megawatts of power to the local grid. Certainly, though, all was not well. The SIR prototype developed leaks in its superheaters early, and in the same month as the ceremony mentioned above, also developed leaks in its main steam generators (US Submarines Since 1945; Dr. Norman Friedman, US Naval Institute Press, 1994.) According to Friedman, the leaks were fixed by January 1956. The USS Seawolf, according to testimony given by Admiral Rickover to Congress in March, 1957, developed leaks in both her steam generators and superheaters. The first leak was detected when Seawolf went to full power in dockside testing in August 1956; that "took us 3 months working 24 hours a day to locate and correct the leak," according to Rickover. Seawolf eventually developed further leaks in both the superheaters and main steam generators so that for final acceptance trials she had, according to Rickover, lost about 10 percent equivalent total power from plugging of leaking heat exchanger tubes and also lost all of her superheaters (they were bypassed) which reduced power another 10 percent. "With the reduced power," he noted, "she makes about 90 percent speed." 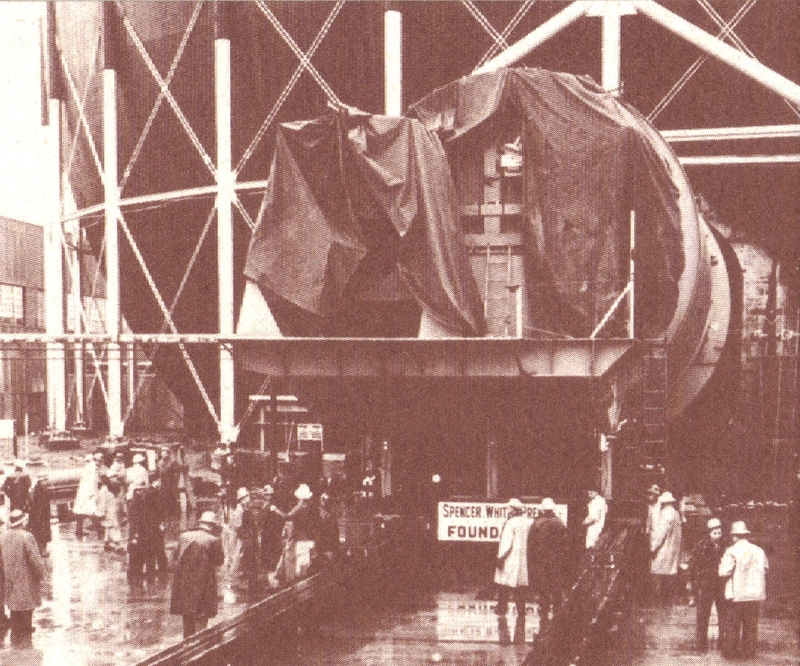 The USS Seawolf had her reactor replaced with the S2Wa plant during shipyard availability that lasted from December 1958 through September 1960 (Friedman,) and according to Rickover's testimony, plans were already being laid to remove the SIR from the sphere at West Milton, New York and replace it with a further prototype - these events spelling the end of the liquid-metal-cooled reactor in the US Navy Nuclear Propulsion Program.